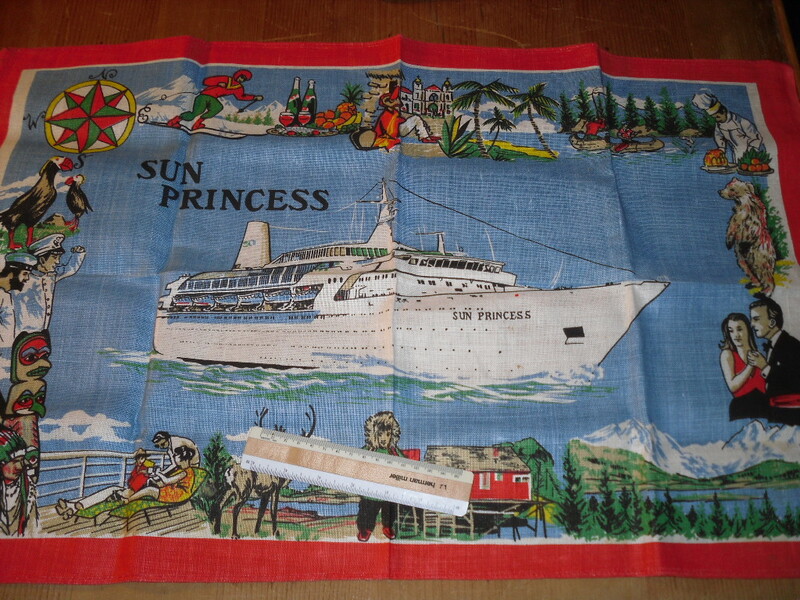 The first Sun Princess was originally P&O's Spirit of London ... but was quickly transferred to the budding princess fleet when P&O bought Princess cruises in the early 1970's. Once the popular "Loveboat" series started filming onboard the fledgling Princess fleet ... bookings soared! This Irish Linen hand towel is just in absolute pristine condition ... probably purchased onboard during a cruise and kept in a drawer as a precious memento. Not a common towel to find at all!